EBJI » Good Luck Jeff! You are Here:EBJI >> News >> Good Luck Jeff! Monday July 29, 2013 will be Jeff Fujimoto’s last practice here at EBJI (at least for a while anyway!). The recent grad of UC Berkeley will be headed to UCLA’s Medical School to pursue his goal of becoming a medical doctor. 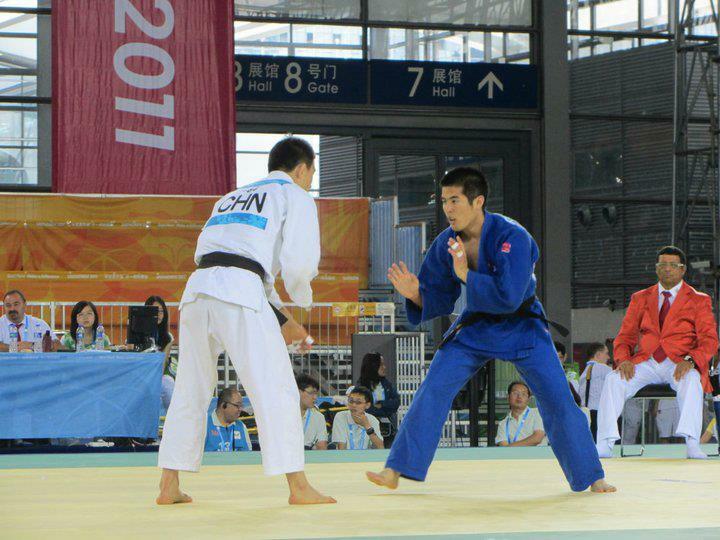 Jeff joined EBJI in early 2011 wanting to improve his competitive judo career. Within in a year under the guidance of Matsumoto Sensei and Sayaka Sensei, Jeff he had moved up to the number two ranking in the nation in the men’s 60kg category. In addition, he had the opportunity of representing the USA at the World University Games in Shenzhen, China where he placed 9th and accomplished his goal of winning his first Senior National medal (bronze in 2011). Since joining EBJI, Jeff has become an integral part of our dojo community. Even after retiring from competition, he continued to attend practice regularly to help the junior competitors and assisted with the beginning kid’s class once a week. We’ll miss you Jeff and best of luck! The Comments are closed Good Luck Jeff! Best Wishes Jeff! You’ll be an incredible clinician! We’ll miss your presence at EBJI. Thanks for helping our son, Nishant, practice judo.